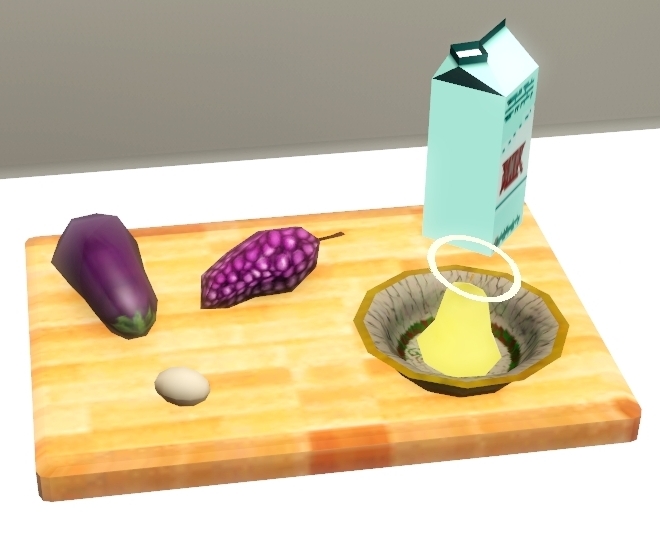 All items pictured above are included in the zip files, except for the dishes & cutting board. These items are not edible food, only for decoration. They are found in buymode/deco/misc.